It is estimated that India has the potential to generate 20,000 MW of power from small hydropower projects alongside rivers and irrigation canals. The government has been taking several steps over the year to realise this potential to meet the growing need for electric power in the country. The Ministry of New and Renewal Energy (MNRE), which is the nodal agency for promoting small hydropower projects, has aimed to harness at least 50 per cent of the potential in the next 10 years. The present installed capacity is about 4,500 MW. A major roadblock in converting the potential to reality has been in terms of testing of the hydro turbines that generate the electricity. They can be tested for their efficiency in real conditions only after they are installed and even then, the results are not accurate enough and no improvements can be done once the machine is installed. A solution is now available for the problem. 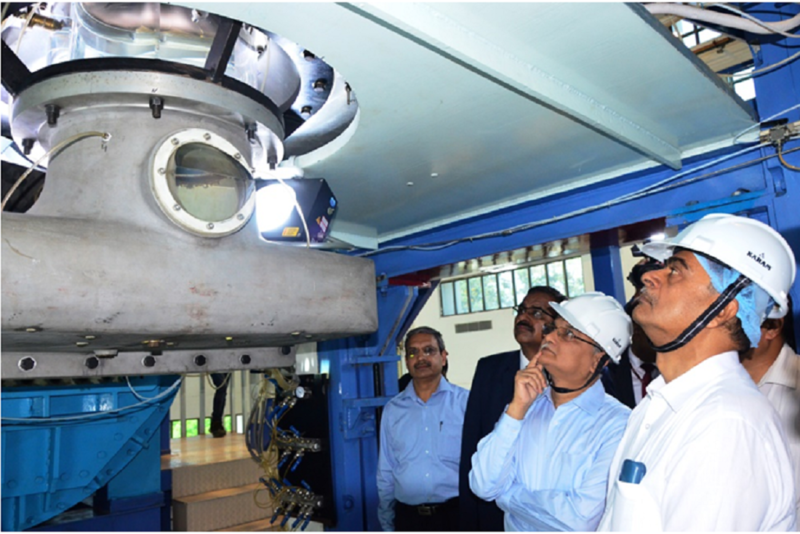 The Ministry has set up a dedicated fully automatic SCADA-based hydraulic turbine research and development laboratory at the Alternate Hydro Energy Centre (AHEC) at the Indian Institute of Technology, Roorkee. Set up at the cost of Rs. 40 crore, the laboratory will act as a design and validation facility and also conduct research on hydro turbines and other hydro mechanical equipment conforming to national and international standards. It has the capability to conduct tests on scaled models of hydraulic turbines for various technical parameters such cavitation performance, pressure pulsation and runaway speed, characteristic curves for the turbine quadrant, hydraulic thrust and torque. The laboratory is equipped with state of the art SCADA-based automatic control system with first principal based flow measurement, precision pressure transducers and sensors. It has obtained accreditation from the National Accreditation Board for Laboratories (NABL) as per ISO/IEC standards for fluid flow testing and calibration. NABL is part of Asia Pacific Laboratory Accreditation Cooperation, which, in turn, is part of the International Laboratory Accreditation Cooperation. In terms of research, the laboratory would undertake studies in fields such as multi-phase hydro dynamics, water power project and hydraulic machinery. To begin with, it will focus on computational analysis of intensity of hydraulic turbine, application research of hydraulic optimization and analysis of internal flow, flow field display technique of hydraulic turbine, cavitation mechanism and anti-cavitation measures, measurement and control technique for assessing pressure fluctuations in hydraulic turbine, hydraulic vibration stability test in hydraulic machinery, and measurement of dynamic pressure velocity field in hydraulic turbine. Inaugurating the laboratory at a function today, Union Minister of State for Power and New and Renewable Energy (Independent charge), Raj Kumar Singh, congratulated IIT Roorkee and particularly AHEC for coming forward for contributing to the small hydro industry as an excellent example of academia- industry bonding.